Home Tags Posts tagged with "Drawing"
SketchUp Pro is a fabulous 3D drawing program that K-12 public school districts in Texas can receive free from TCEA. The software is incredibly powerful and yet easy to use, making it a strong tool for most grade levels. And because it’s a creation program, it can be used across the various subject areas, including math, ELA, science, social studies, art, and CTE. Below are some good lesson plans to use when introducing your students to SketchUp Pro or for students who have advanced more in the use of the software. This is a small sample of the many resources available to educators using the SketchUp Pro software. Its ability to create both real-life and historical/imaginary designs is one of its greatest powers for student learning. What will you have your students design today? Artistic editors and apps abound online, but have you taken a look at Google Canvas? In a stylus-powered classroom, this simple tool provides students lots of options. Use them to get started with online drawing. Before we explore its features, let’s revisit why drawing can be so important. Read the explanation for this model. Image Source: Quillin, K., & Thomas, S. (2015). 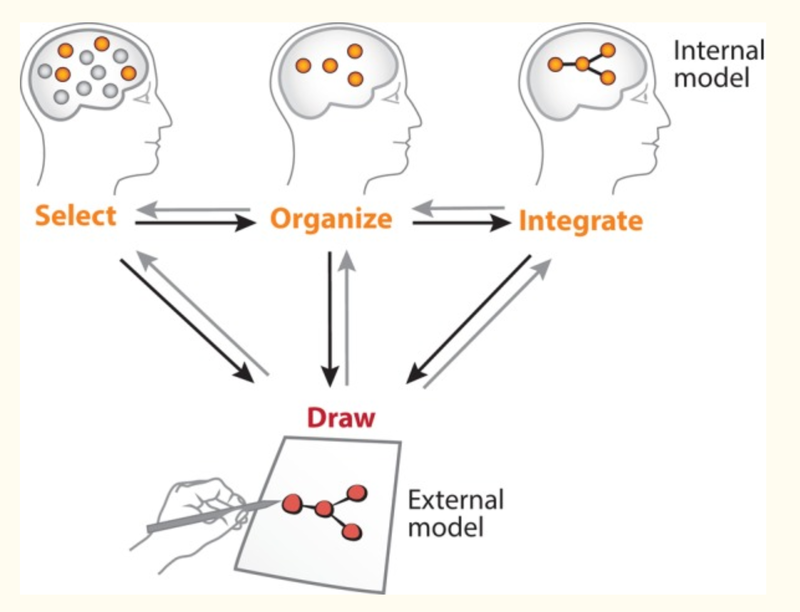 Drawing-to-learn: a framework for using drawings to promote model-based reasoning in biology. CBE life sciences education, 14(1), es2. Drawing helps us learn to write and think in creative ways. It helps us develop hand-eye coordination and hone analytic skills. Drawing facilitates the conceptualization of ideas. Images are more accessible than academic discourse. They enable learners to capture concepts difficult to convey in words. Drawing makes communicating in a more holistic way possible as sketches can tease out stories or questions. They yield a fresh perspective (source: Drawing Information in the Classroom). From STEM disciplines to surgeons to service areas, drawing makes a difference (source). Why don’t we focus less on abstract representation models and rely more on drawing? As we transition from paper to digital formats, will drawing become a lost art? Creating flowcharts is easy in the G Suite for Education. You can rely on built-in tools (Insert Drawing) that are available in the Chrome browser. You can use Lucidchart, Draw.io (my favorite), and find even more in the G Suite Marketplace. “Wait, wait,” you say. 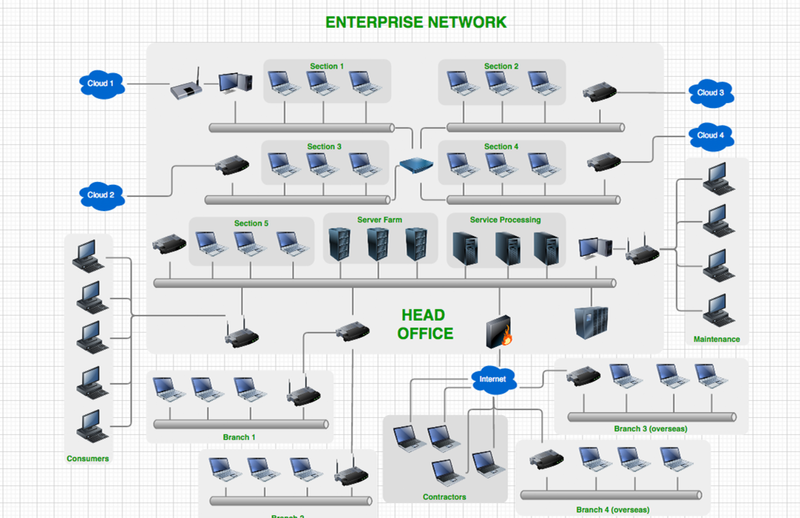 “We are talking about drawing and sketching, not flowcharting.” Of course, you are right. Web Paint: An easy to use drawing tool (see toolbar above). You can draw shapes and lines and add text to live web pages. When finished, snapshot it and save the image. Learn more about it. Sketchpad: A feature-rich, multi-lingual drawing and sketching environment. You visit a website and are able to do quite a bit. The toolbar includes many tools including the tile brush, pencil, sketchy, arrow, crayon, and stamp. You will find spraypaint, fur, web, spirograph and more, too. There is age-appropriate clip art available or you can load your own image. Sumopaint: Well known, Sumopaint offers filters, painting tools, and image manipulation. It features over 300 brushes, many shape tools, and an offline Pro version. In December, 2018 Google added a new tool to the mix. Ready to give it a try? Go to canvas.apps.chrome to get started. Google Lets Me Finally Be an Artist! As I’ve discussed in other blog posts, I was not gifted with an artist’s abilities (to say the least! ), and I have always been very sad about that. I have no eye for color and couldn’t draw a recognizable figure if my life depended on it. And yet, I am very cognizant of what art and graphics can add to our lives and work. I am drawn by the beauty and magic of a simple drawing or a magnificent painting. But I can’t partake in that world, or at least, I couldn’t. 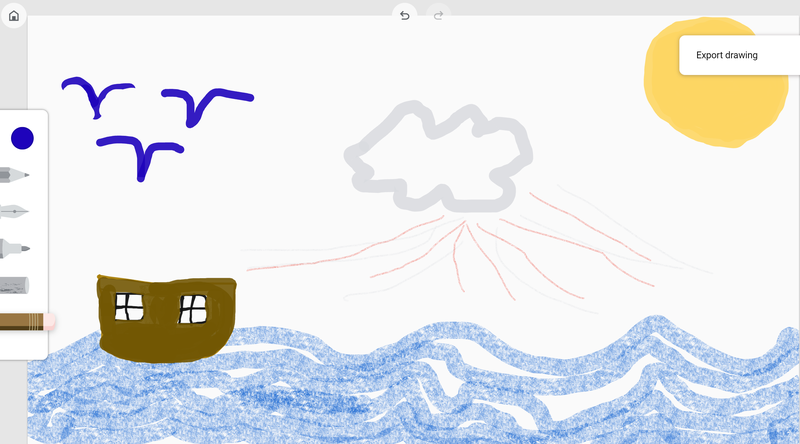 Now, however, Google has once again come to my rescue with their new program Auto Draw. How Does Auto Draw Work? Auto Draw does exactly what its name says. Start any drawing free hand and the artificial intelligence (AI) in the program will figure out what it is supposed to be and complete the drawing for you, making sure it looks good. And because it’s a web app, Auto Draw works on any device with internet access. After I was done drawing, Auto Draw tried to guess what I was attempting to depict. It struggled between a snowflake (good guess, but not quite) and the Sun (correct). Its choices for me to select from were presented across the top of the screen. I simply clicked on the sun icon and here is what I was given as Google corrected my poor work into something more recognizable. The tool will let you completely free hand draw, if you wish. And it has the standard selection of fill colors, draw colors, shapes, and text boxes that you would find in any other drawing or paint program. It saves the drawing as a PNG file, and it includes a very simple tutorial (not that you really need one for this). I guess what I like best about it is that I am no longer limited by my lack of artistic ability. Instead of always having to search for and use someone else’s graphic in my work, I can now draw my own (with a little help from the AI). And that is incredibly empowering, and not just for adults. What might your students be able to draw? How fast can they illustrate a story using Auto Draw and their writing? What will sketching teach them about including just the main points of a design? How proud will they feel that they wrote and illustrated their latest work? Give Auto Draw a spin and tell me what you think about it. And be sure to let your students try it, too! You know something has become mainstream when it becomes a verb. If you ask me something I don’t know, my response will probably be “Google it.” Instantly, you’ll know what I’m suggesting. Google, however, has morphed into something more. Their suite of tools is transforming classrooms around the world. Let’s look at how an elementary teacher could approach a lesson using a suite of Google tools. For this lesson on identifying and explaining the significance of various community, state, and national monuments, we will use Google Search, Slides, Sheets, YouTube, and Drawing. engine to search for websites that have all three of these words. After the search, click on the word Images at the top of the page. This will produce a page full of images of U.S. monuments. Next, open up a Slides presentation and insert photos of monuments you want to show your students. You could also insert a few monuments from your state by Googling “Texas+monuments”. Introduce the lesson by showing your students the presentation and asking them to identify the monuments they recognize. Follow that question by asking them if they know why the monument was erected. Next, ask your students what the word “monument” means. Have one of your students type the suggestions in a Google Doc to capture student comments. Then type “define:monument” in Google Search. This will produce a definition of the word. Ask your students to compare the definition found on Google with the ones your students identified. What are the similarities? What are the differences? Prior to the class, select a group of YouTube videos about different U.S. and Texas monuments. Create a playlist and have your students watch the videos. Here is a sample. As they are watching the videos, have them identify the one monument they would like to know more about. Group the students by the monument they have chosen and ask them to research the event or person that inspired the monument. Have them create a simple Slide presentation demonstrating what they learned. To evaluate your students’ understanding, create a Google Drawing that requires them to identify the monuments they chose to research. Here is an example. responses as a group activity. Instead of creating a Slide presentation, have the students draw images illustrating what they learned about the monument on a storyboard. This helps the students make critical decisions about what images best represent their learning and the order the images should be placed to communicate their ideas to an audience. These are necessary skills that will help them when they are older and are able to create a Slide presentation. Learning what to include and exclude is important to know. You could also take photos of their pictures and put them in a Slide presentation. Today’s elementary students have been playing with technology since they were little. Using technology for their learning feels very normal and natural to them. Google Apps provides a teacher with lots of tools to increase collaboration, engagement, and student choice. These are just a few examples. Can you name a few more? In a recent free-to-member workshop on integrating iPads into the classroom, I talked about the power of using drawings and illustrations to help students master both simple and complex concepts. When I think back to my time in school, I never took an art class, which is where most drawing activities would occur. However, today, drawing can be incorporated into any subject area. Make connections between observations and ideas. One activity we did centered around drawing conclusions. The participants in the workshop were to gather all available information as I read to them, reflect on past experience or knowledge to see if there was a connection with the present information, make inferences, and use the sum of what they knew to make a judgment about the situation. They then drew their conclusions using the Doodle Buddy app. I created “App-Tasktic” cards for each of our activities, which contained the teacher lesson, as well as the student activity. You can view the sample cards of the drawing conclusions activity here. I think these will spark other activity ideas for you. iPad App List – Find recommended apps for every subject area and concept. iPad in the Classroom Group – In the TCEA Social Community, you can become a member of the iPad in the Classroom Group. Then, each day, you’ll receive an email with educational iOS apps that have gone free or on sale that day. You can save hundreds of dollars a year with this great member benefit. App Evaluation Rubric – This rubric will help teachers evaluate apps they are considering for the classroom and is available to everyone. What are some lesson ideas for your classroom that incorporate drawing apps? Please share in the comments below. One of the many new skill sets today’s graduates need is 3D design. Unfortunately, this can sometimes be an expensive concept for schools to teach, as it requires costly software. But TCEA can help. TCEA has been granted the exclusive rights in the state of Texas to provide FREE licenses of SketchUp Pro to all K-12 public school educators and students for school-owned computers. This 3D modeling software, normally priced at $495 per license, is easy and intuitive to use, allowing anyone to model in 3D quickly and accurately. SketchUp Pro is like a pencil with superpowers. Start by drawing simple lines and shapes. Push and pull surfaces to turn them into 3D forms. Stretch, copy, rotate, and paint to make anything you like, from a copy of the classroom to a model of the entire town to a diagram of how the heart works. For more advanced students, start modeling from CAD and terrain data, photographs, or even hand sketches. Build models with custom behaviors and attributes. SketchUp Pro is as simple and as powerful as you want it to be. If students need help brainstorming ideas of what to draw, they can turn to the 3D Warehouse, where individuals from all around the world who are using SketchUp Pro share their models. And to take the product even further, there is an Extension Warehouse with more than 200 different add-ons for SketchUp Pro available. The free SketchUp Pro licenses from TCEA are good for one year and may be renewed each year thereafter. To receive a free license of SketchUp Pro 2015, please complete this form. You will then be emailed information within 48 hours on how to download and install the software. For private schools, Trimble offers deep-discounted SketchUp Pro EDU licenses for as little as $15 per seat per year. Please see their licensing information page. Or you can download the free program SketchUpMake for your students to use. Take a look at your upcoming classroom projects and see how 3D drawing can enhance them. You won’t be sorry! Doodle Buddy’s versatility makes it the perfect go-to educational app for encouraging creativity and engaging young students. The app is very user friendly and packed with a multitude of drawing tools, backgrounds, and stamps. As a bonus, you get a stencil tool and can insert a photo from your photo roll or use the camera right inside Doodle Buddy. While Doodle Buddy is a free drawing app, it does come with ads. You can disable the ads by making a $.99 in-app purchase. Below you will find more drawing and painting apps because I do realize there is more in the creativity world than JUST Doodle Buddy. If you do not want distractions in a drawing app, I recommend CHALK_BOARD. This free app has an old school green chalkboard as the drawing surface and five colored pieces of chalk. The eraser has three options: undo, erase with finger, and erase all. Hello Crayons also makes the list. I checked this app out by drawing a banana, and guess what? My drawing actually looks like a banana. You get four choices of drawing instruments: 12 crayons, one small dark gray marker, 12 medium markers, and 12 paint brushes (which look like colored pencils to me). The app also features a paint bucket with 12 colors and two choices of erasers. The erasers are a bit funky as they leave a very faint trace of your drawings. Drawing Pad This app is $1.99, but it has great features for a budding artist with a complete tool box of photo-realistic crayons, markers, paint brushes, colored pencils, stickers, roller pens, and more! Inkflow Visual Notebook The Basic Edition of Inkflow is free so you can try it out before you purchase the Inkflow Plus Notebook at $7.99. I know that sounds expensive, but the app is luxurious. The Basic Edition is a full-featured, note-taking/sketching app and it comes with the fountain pen with black ink, photos, and a standard set of five popular fonts for text. The notebook maxes out at 20 pages each, but you can create as many as you like. If you want a free upscale draw/paint tool, check out Tayasui Sketches. The tools look and feel very realistic and you get quite a few options for no cost. Upgrade to the Pro Bundle for $4.99. Kaleidoscope Free This app lets you draw with 10 brush sizes and tons of colors to make a kaleidoscope drawing. Press the “Movie Reel” icon to watch the playback of your amazing creation. The free version is annoying with game advertisements, but if you can ignore that, it’s a pretty cool ability in the kaleidoscope department. Forge of Neon 3D Create glowing shapes in three-dimensional symmetries. This app is definitely worth a couple minutes of your time. Even if you don’t think you have any artistic talent, all of our brains can benefit from taking a walk on the creative side. So grab one of these excellent drawing apps and get started today! Sometimes, a content area teacher may not want to worry with the trouble of having students start a technology project from scratch. Instead, he or she may want to use an already-prepared template so that students can focus more on the content than on the mechanics of the technology. Here are some great Google templates for students to use either as their project starting block or for ideas. Note: Make sure you make a copy of the template before you begin using it! Ask and Respond Template – Use this template and Google Slides to get information from your students about something they’ve read or studied, what they’re thinking, or their favorite band. Baseball Review Game – This great review game in Google Slides is technically for teachers and not students. But it was so great that I just had to share it with you. BreakoutEDU Student Reflection – The most critical part of any breakout is the reflection done by the students at the end. This is a nice template to help them with that process. Build a Jack-o-Lantern – Carve a pumpkin with this Google Slides deck. Class Twitter Account – This Sheets template provides a way to manage Tweets sent out by your students from your classroom Twitter account. Collaborative Yearbook – Let your students celebrate their school year by creating a Google Slide yearbook together. Flippity – Flippity provides nine different templates that are designed more for teacher use, but could also be used by students. All of them take data from a Google Sheet and transform the information. My favorite is the Mad Libs one. General Resources and Templates – There are a ton of different templates available at this website, including a cartoon template, a character map, Cornell note-taking form, and an iPhone Message template that could be great to have students create a conversation between two literary or historical characters. Google Drawings Chess and Checkers – If only as a way to have students learn more about how Drawings works, these templates are a valuable classroom addition. Google Drive Mastery – Gamify student mastery of Google Drive with this template. Graphic Organizers – There are 30 different graphic organizers in this collection for Google Drawings. Greeting Cards – Use Google Drawings to have your students create wonderful holiday greeting cards. Infographic Templates – Eight different templates for creating beautiful infographics are available. Infographics are an excellent way for students to organize and summarize key information that they’ve learned. Jigsaw Activity Template– Use this Google Slides template whenever students are placed in groups for a jigsaw learning activity. Meme Template – There’s nothing students love more than creating memes. Turn them to an education use by having them create one that demonstrates their learning using this Google Drawings template. More than 40 Google Drawings Templates – These are amazing templates that are perfect for students of all ages in math, ELA, science, and notetaking/organizing information. Motivational Poster Template in Google Drawings – Have your students use either the horizontal or the vertical poster to share a favorite quote, a main idea, or something important to them. New Templates from Google – Google has released a variety of new templates, including a nice book report template from Reading Rainbow. Personalized Scratch-Off Templates – This website offers a fun and easy way to create personalized scratch-off cards that can be printed. The template is included. Power Up Your Spring with Flowers – Use Google Slides to help your students create beautiful flowers for a special someone. Have them list words that describe their creations or, for older students, have them create a poem or short story about them. Print Custom Sticky Notes – This great resource from Tony Vincent includes a Google Slides template along with specific instructions on how you can design and print your own sticky notes. Problem/Solution – Works great for makerspaces or real-life problems students are trying to solve. Stop Motion Animation with Google Slides – This innovative idea has hundreds of potential uses in the classroom. Tammy Worcester Tang’s Favorite Templates – Our favorite convention speaker, Tammy, has 40 templates perfect for student use. Topic vs. Topic Infographic – Use this topic to have students create an infographic sharing the differences between two concepts. Twitter Fictional Account Template – Use this Google Drawing template to have students create fictional Twitter accounts for literary characters, famous people in history, scientists, and more. The creator of this template also offers an infographic template, Harry Potter’s Daily Prophet newspaper, templates for Time Magazine and National Geographic, and a comic book template. Vocabulary Slide Deck – This great template based on the Frayer model is a perfect way to learn any new words. Wanted Poster – This template is perfect for learning about famous people in history or characters in literature. TCEA offers amazing learning events for educators to level up their learning. Learn more about our Academies. Elementary Student Newspaper – This is the perfect way for elementary students to create a classroom or project newspaper. It includes room for several articles, ads or quotes, graphics, and even a graph. The template is available for both a one-page and a two-page newspaper. Older students may use this template with four articles and accompanying graphics. If your students need to create a newspaper about colonial times, this template and accompanying rubric will work well. Leprechaun Scene – This activity has younger students create a scene with the drawing, graph their items, and complete word/number sentences. One Fish Two Fish Red Fish Blue Fish Sorting Template – Have your elementary students do this fun activity to celebrate Dr. Seuss’ birthday on March 2. Pattern Block Templates and Activities – Google Drawing makes this template very easy to use for both you and your students. Pixel Art Template – This template, at its simplest level, is a paint-by-number activity great for younger students. At its more complex, students can use the template to create fun pixel art. 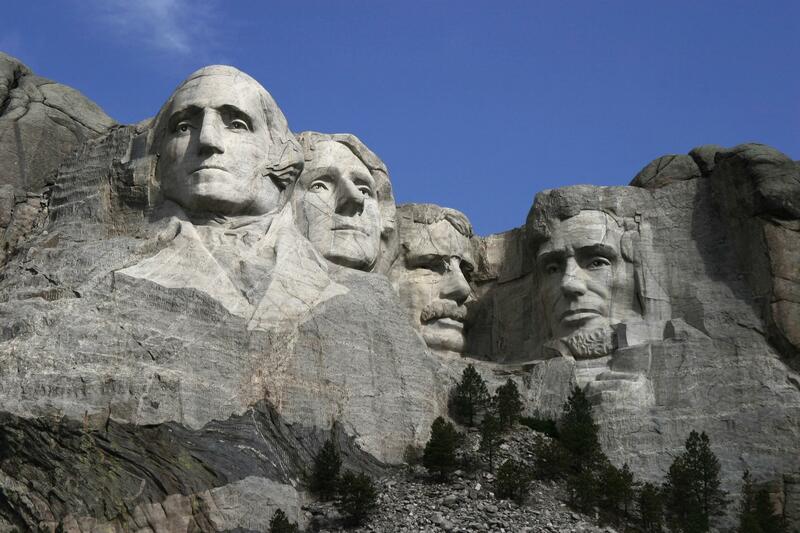 Presidents Day Hyperdoc – This great template for grades K-2 is perfect for February. Super Digital Citizen – Have your students in grades 2-5 practice their digital citizenship with this innovative template. Self Evaluation – This is a very simple evaluation form for elementary students to complete about themselves. It asks them “How is it going for you?” in several different subjects: writing, reading, and math. Build a Snowman and Write a Story – This is a simple to use template in Google Slides that lets students get creative while building a snowman and then describing it, for vocabulary practice, or writing a story about the snowman. You can use the same idea with anything that students can build, from the parts of a plant to a gingerbread house. Cloze Test Generator – Scroll to the bottom of this page to download a copy of a great cloze activity template in Sheets. Frayer Model Vocabulary – Allows students to use words, definitions, and drawings to learn vocabulary words. Prediction Chart – Ask students to make predictions before and after reading a book. Reading Chart – Use Google Forms to create a live reading log. Instructions are available here (scroll down to the third activity). Reading and Writing Tools – Here are 12 more templates perfect for the ELA classroom. They include different charts and concept maps, as well as a plot diagram and a journal. Shades of Meaning Linear Array – Show how five words are interconnected. Short Story Graphic Organizer – This Google Slides template helps students to organize their thoughts when writing a short story. Springtime Magnetic Poetry – Have your students create wonderful poems about spring using Google Drawings. St. Patrick’s Day Magnet Poetry with Google Slides – This template includes more than 60 words and phrases that students can use to create fun poetry or a story. Valentine’s Magnetic Poetry with Google Drawings – This idea of using Drawings to create a template with words that students can use to create their own poetry is genius. You can reuse the basic template for other holidays and themes, simply changing the graphics to match. Writing Prompts – With these templates, you have a choice of writing prompts with pictures or journal templates with blank layouts. As always, make sure to Make a Copy of the template before you begin using it. Analyzing Shoe Sizes – The “Analyzing Shoe Sizes” activity contains many mathematical concepts and student activities for students to complete. Ideally, this activity would be appropriate for students in the 6th through 8th grade using Google Slides. Area of Shapes Scavenger Hunt – Using Google Slides, students can document shapes they find around them and then calculate the perimeter and area of those shapes. Battlesheets – Have your students practice grid coordinates and logical thinking as they play the familiar Battleship game in Google Sheets. Division Brownies – This fun template will help students solve a very real-world problem of how to fairly divide a pan (or pans) of brownies. Exploring Surface Area – This is an excellent template with lessons for exploring surface area using Google Slides. Exploring Tangrams with Google Drawings – This site includes a free blank template with all the tangram pieces already created, a dozen pre-made tangram puzzles to solve, and detailed directions on how to manipulate the shapes using tools in Google Drawings and create your own tangram puzzles. Frieze Patterns – Illustrate reflection, translation, and rotation. Game-Based Learning with Google Slides: Coordinate Plane Battleship – This is a great way to incorporate some fun into Algebra class. Google Graph Paper for Math – If you’re a math teacher, you will love these seven different templates for graph paper. Interactive Clock Face – This is a really clever template that lets students learn about telling time using an analog clock and two interactive hands. Math Dice – This is a great game for elementary students to play. Word Problem – Allows students to create their own problems and illustrate them. Drag and Drop Solar System – Allows students to group the planets in different ways as they learn about the solar system. Exploring Human Heredity – High school students work in groups of three to investigate human heredity with this template. Historical Facebook – Students can plan a “fake” Facebook page for a historical figure. A literary Facebook template is also available. Historical Tweets – Using this Google Slide template, students can create “fake” Tweets from historic (or literary) figures they are studying. Infographics Toolbox – Challenge your older students to take existing data they would normally just read over and create amazing infographics highlighting key points with this beautiful template. Labeling – The example is the parts of the brains. But students could use any subject. Map of the United States – Use this colorful map of the US to study any type of geographic, political, or historical data. Planet Research – Help students know what kind of information to gather while studying the planets. Virtual Museum – Have students create their own museums to showcase their learning with Google Slides. Technology Applications – To help your students master Google apps, you can use the Google Docs Scavenger Hunt and the Google Slide Scavenger Hunt. If you would like to learn how to create your own templates in Docs, this four-minute video is perfect. And learn how to take basic templates to the next level with HyperDocs – an innovative lesson in Google Docs that contains everything the student will need. You can find additional HyperDocs by searching the hashtag #hyperdocs in Twitter.